“We’re building the world’s greatest brand,” she told Nation’s Restaurant News. “Eventually it will end up in the bucket with brands like Oreo and Hershey,” she told Forbes. 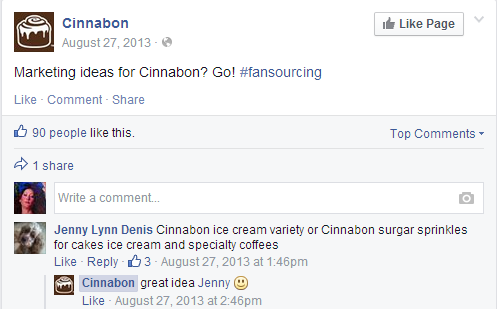 Indeed 2013 was a busy (and profitable) year for Cinnabon; the chain added 110 new locations, bringing its total now up to nearly 1,200 and saw $1 billion in retail product sales from all divisions worldwide, including franchising, consumer package goods and food-service licensed products. It also spent only $33,000 in advertising. This year it plans to open 130 more locations including testing out Bake Shop by Cinnabon, a higher-end cousin to its rest stop fleet that will feature “flights of bites”. These scaled down treats will allow customers to “indulge responsibly” on flavors such as such as Oreo, Teddy Graham, maple bacon, and in November, pumpkin. 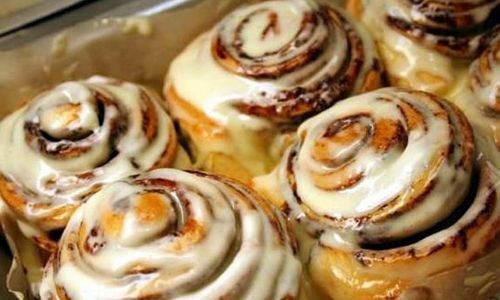 Cinnabon’s VP of marketing Kristen Hartman says the brand prides itself on standing for “irresistible indulgence,” and didn’t want to risk quality by going the low-fat route. Check out the brand’s video profile from AdAge below!